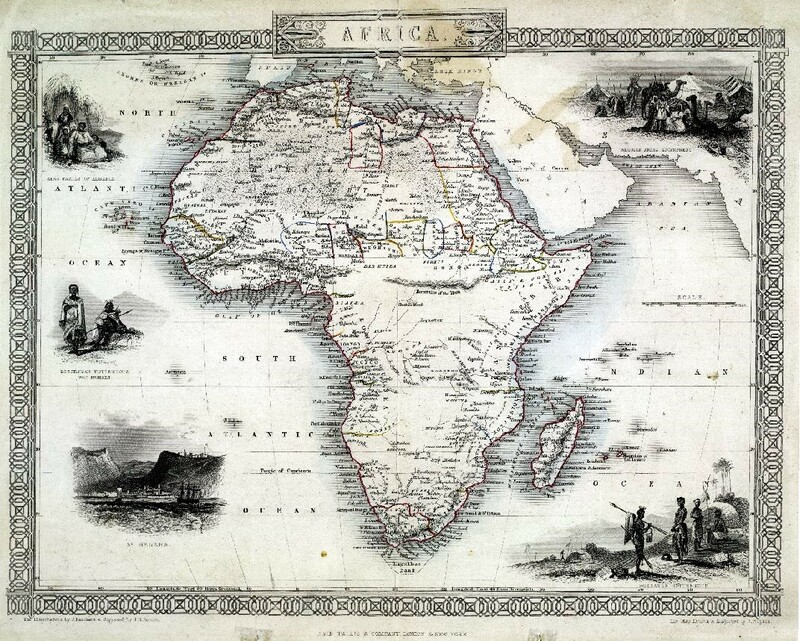 This layer is a georeferenced raster image of a continental map of Africa from 1839. Created by the Society for the Diffusion of Useful Knowledge, this map was highly influential due to the accuracy of information. This map was georeferenced using a Sinusoidal projection. All map collar and inset information is also available as part of the raster image, including any inset maps, profiles, statistical tables, directories, text, illustrations, or other information associated with the principal map. 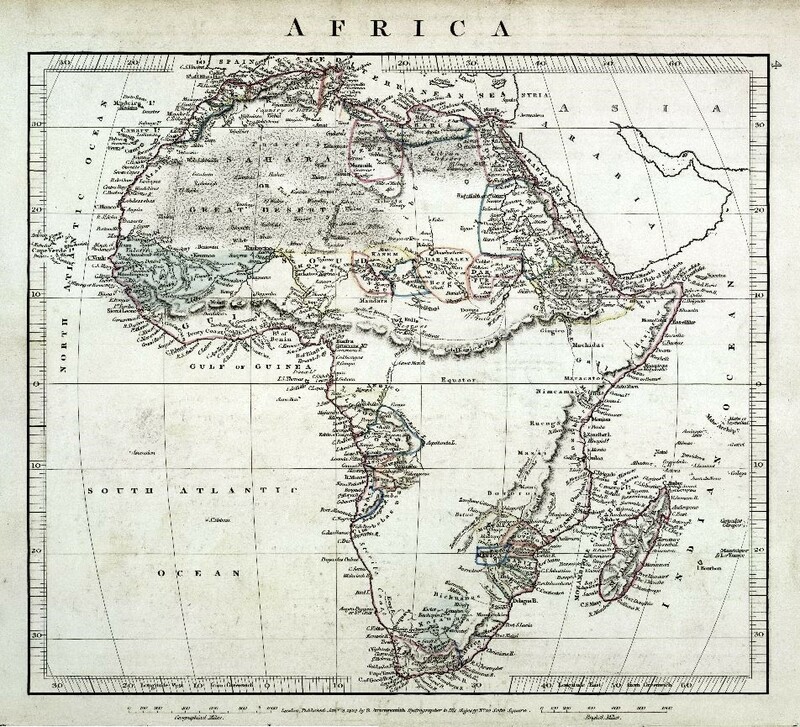 This map is part of a selection of digitally scanned and georeferenced historic maps of Africa from the Oscar I. Norwich Collection at Stanford University. The horizontal positional accuracy of a raster image is approximately the same as the accuracy of the published source map. The lack of a greater accuracy is largely the result of the inaccuracies with the original measurements and possible distortions in the original paper map document. There may also be errors introduced during the digitizing and georeferencing process. In most cases, however, errors in the raster image are small compared with sources of error in the original map graphic. The RMS error for this map is 2788.2 meters. This value describes how consistent the transformation is between the different control points (links). The RMS error is only an assessment of the accuracy of the transformation. Society for the Diffusion of Useful Knowledge and Stanford Geospatial Center. (2013). 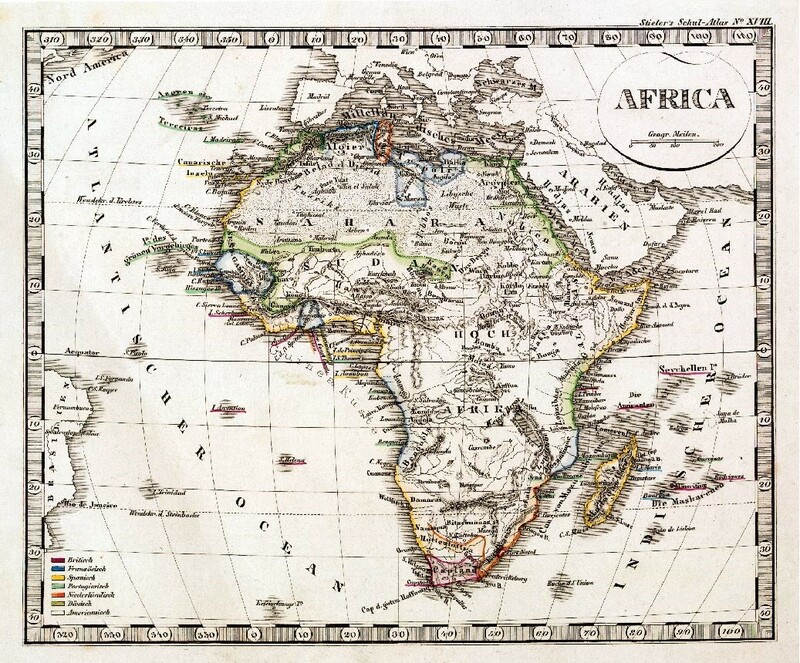 Africa 1839 (Raster Image). Stanford Digital Repository. Available at: http://purl.stanford.edu/kj751hs0595. 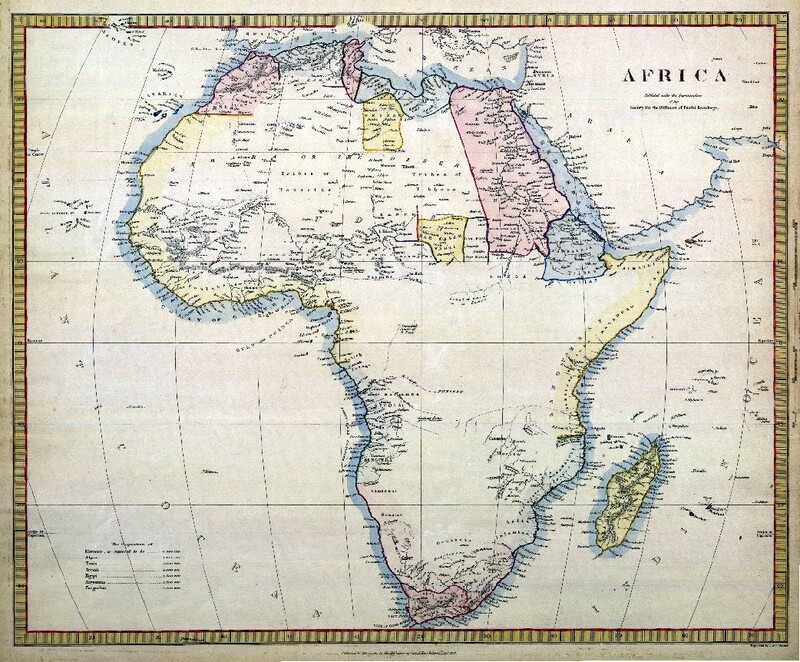 This layer is a georeferenced raster image of an historic continental map of Africa from 1853, originally created by Stabilimento di Giuseppe Civelli. All map collar and inset information is also available as part of the raster image, including any inset maps, profiles, statistical tables, directories, text, illustrations, or other information associated with the principal map. This map was georeferenced by the Stanford University Geospatial Center using a Sinusoidal projection. 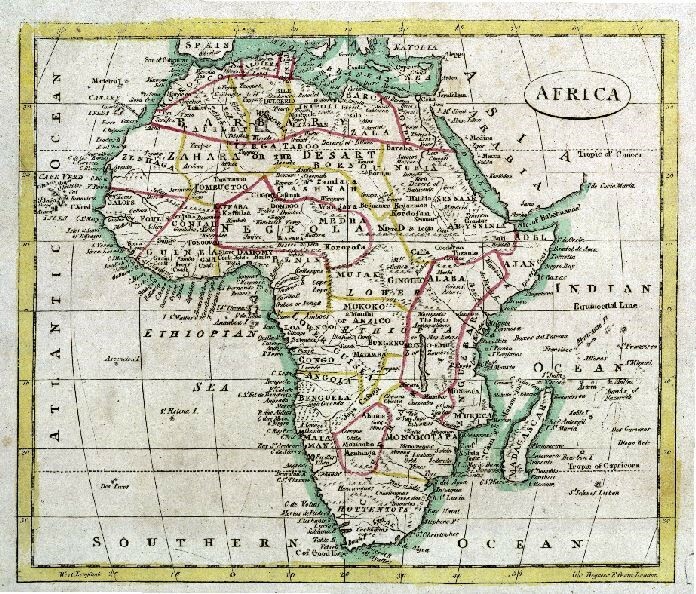 This map is part of a selection of digitally scanned and georeferenced historic maps of Africa from the Oscar I. Norwich Collection at Stanford University. The horizontal positional accuracy of a raster image is approximately the same as the accuracy of the published source map. The lack of a greater accuracy is largely the result of the inaccuracies with the original measurements and possible distortions in the original paper map document. There may also be errors introduced during the digitizing and georeferencing process. In most cases, however, errors in the raster image are small compared with sources of error in the original map graphic. The RMS error for this map is 5991.36 meters. This value describes how consistent the transformation is between the different control points (links). The RMS error is only an assessment of the accuracy of the transformation. Stabilimento di Giuseppe Civelli and Stanford Geospatial Center. (2013). 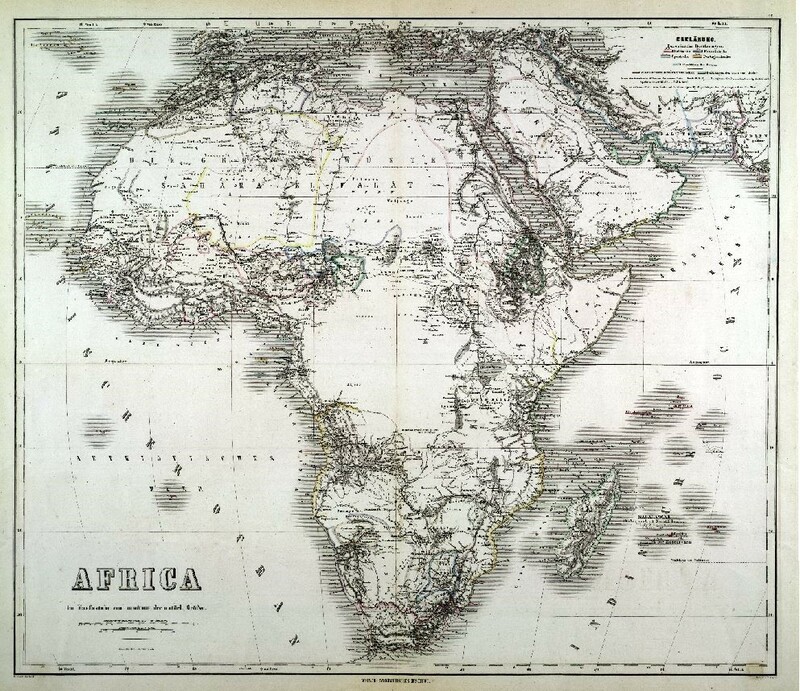 Africa 1853 (Raster Image). Stanford Digital Repository. Available at: http://purl.stanford.edu/hv035cb4173. 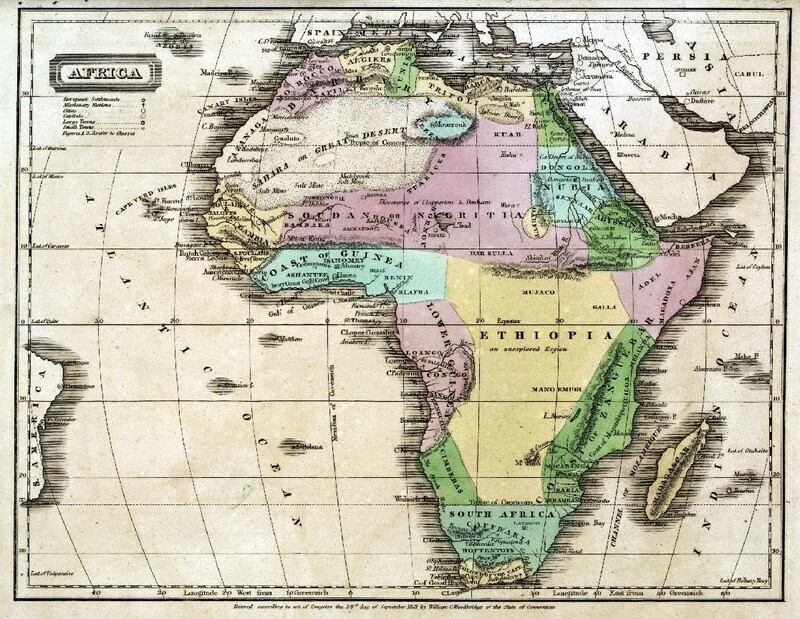 This layer is a georeferenced raster image of an historic paper map of Africa. 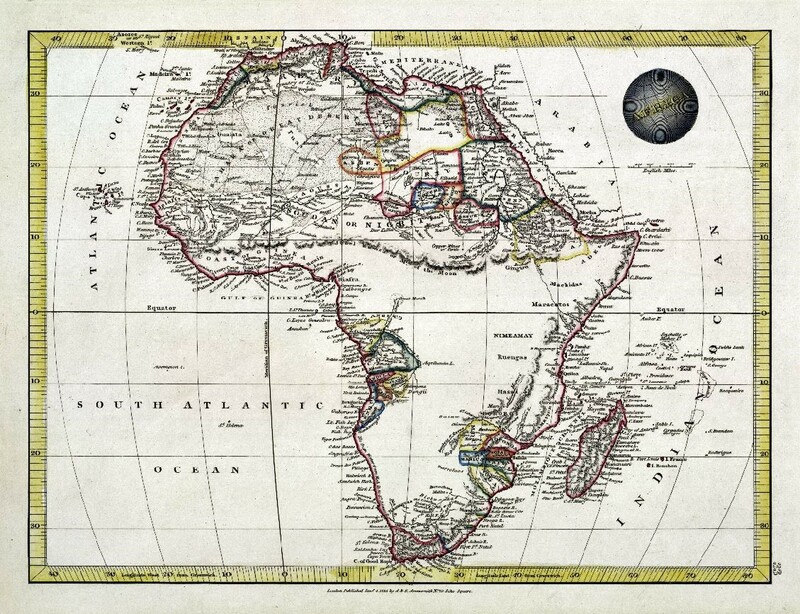 This is a continental map of Africa originally created and published by John Tallis in 1880. 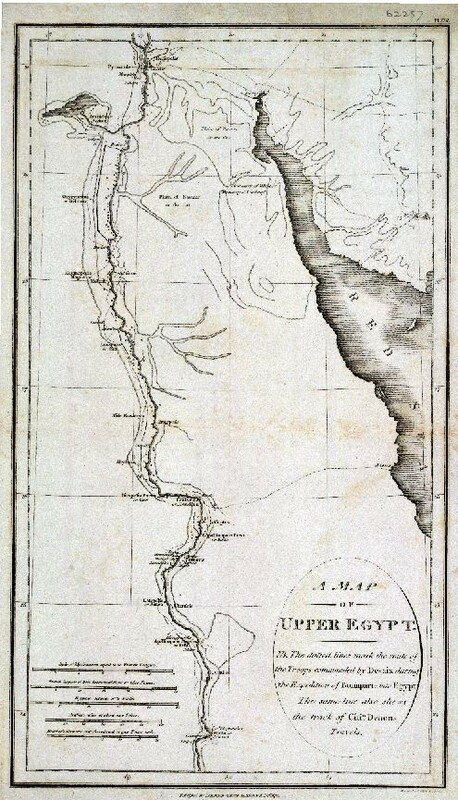 The features illustrated on this map include: rivers, lakes, and coastal islands. 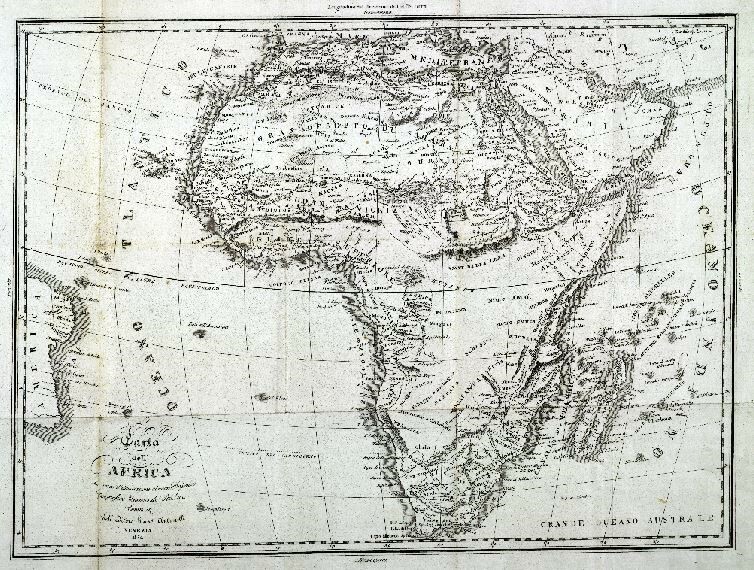 Five engraved vignettes are seen on this map, an Arab family of Algeria, Bosjeman Hottentots, a view of St. Helena, a Bedouin Arabs' encampment and Korranna Hottentots. The illustrations were drawn by J. Marchant and engraved by J.H. Kernot. 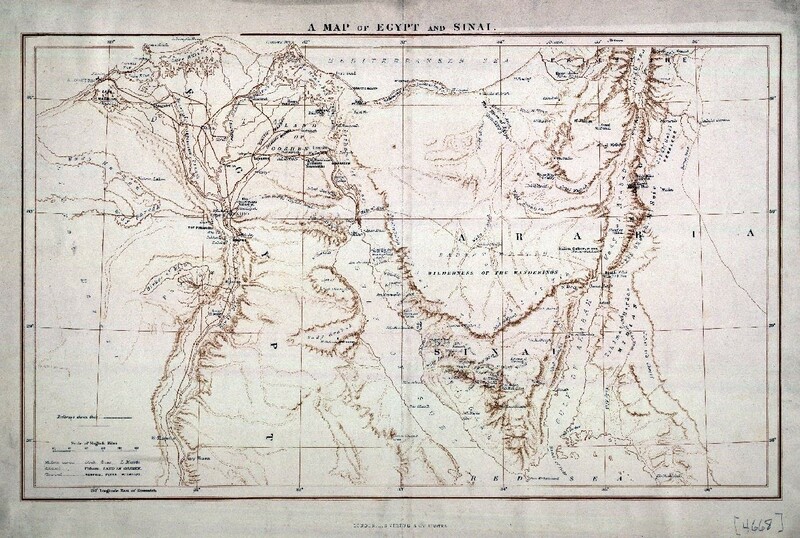 The map was drawn and engraved by J. Rapkin. All map collar and inset information is also available as part of the raster image, including any inset maps, profiles, statistical tables, directories, text, illustrations, or other information associated with the principal map. This map was georeferenced by the Stanford University Geospatial Center using a Sinusoidal projection. 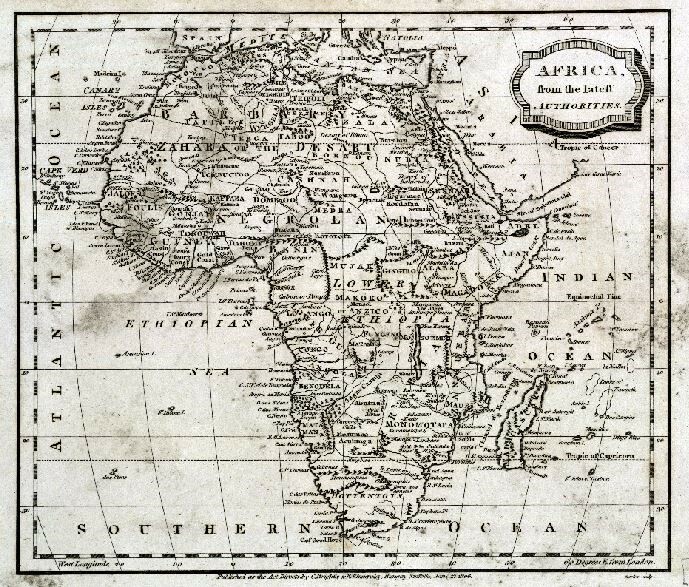 This map is part of a selection of digitally scanned and georeferenced historic maps of Africa from the Oscar I. Norwich Collection at Stanford University. The horizontal positional accuracy of a raster image is approximately the same as the accuracy of the published source map. The lack of a greater accuracy is largely the result of the inaccuracies with the original measurements and possible distortions in the original paper map document. There may also be errors introduced during the digitizing and georeferencing process. In most cases, however, errors in the raster image are small compared with sources of error in the original map graphic. The RMS error for this map is 1850.78 meters. This value describes how consistent the transformation is between the different control points (links). The RMS error is only an assessment of the accuracy of the transformation. Tallis, John, Rapkin, J. and Stanford Geospatial Center (2013). 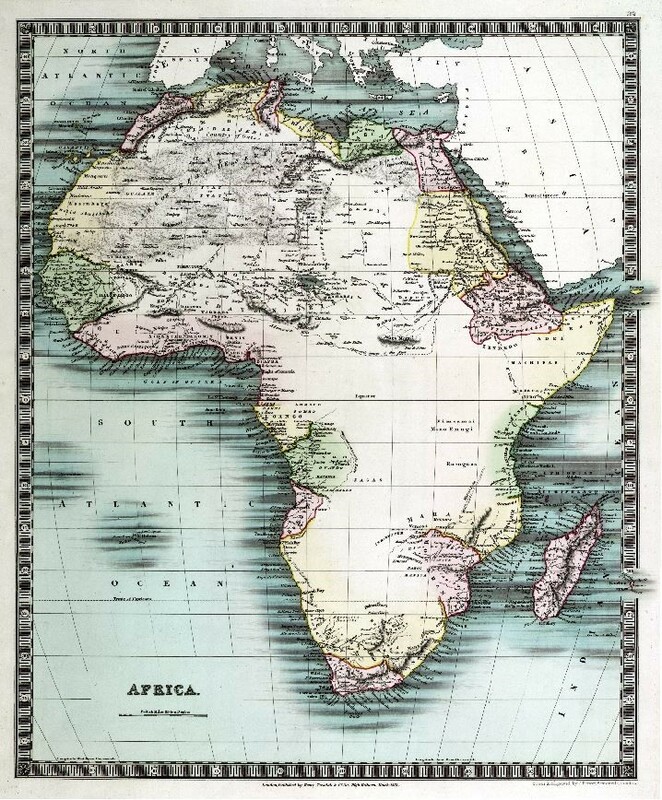 Africa 1880 (Raster Image). Stanford Digital Repository. Available at: http://purl.stanford.edu/zm534vp6363. 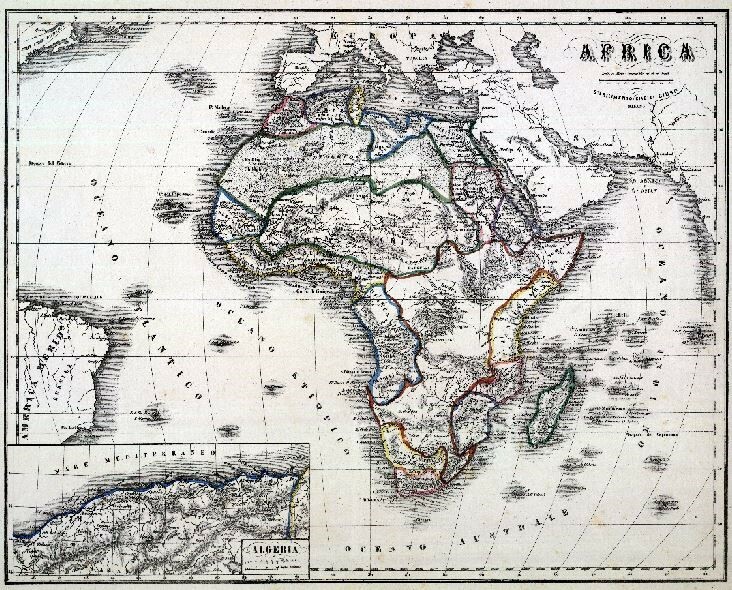 Thius layer is a georeferenced image of an historic continental map of Africa created by Adolf Gräf, and published by the Georgraphisches Institut in the 19th century. 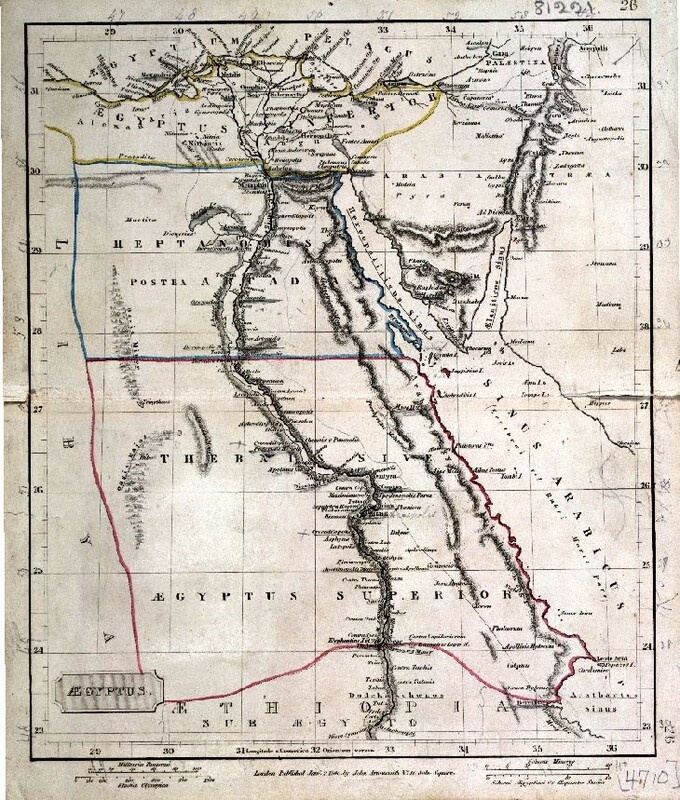 Due to the discoveries noted on the map, it was probably published between 1867-1881. All map collar and inset information is also available as part of the raster image, including any inset maps, profiles, statistical tables, directories, text, illustrations, or other information associated with the principal map. This map was scanned and georeferenced by the Stanford University Geospatial Center using a Sinusoidal projection. 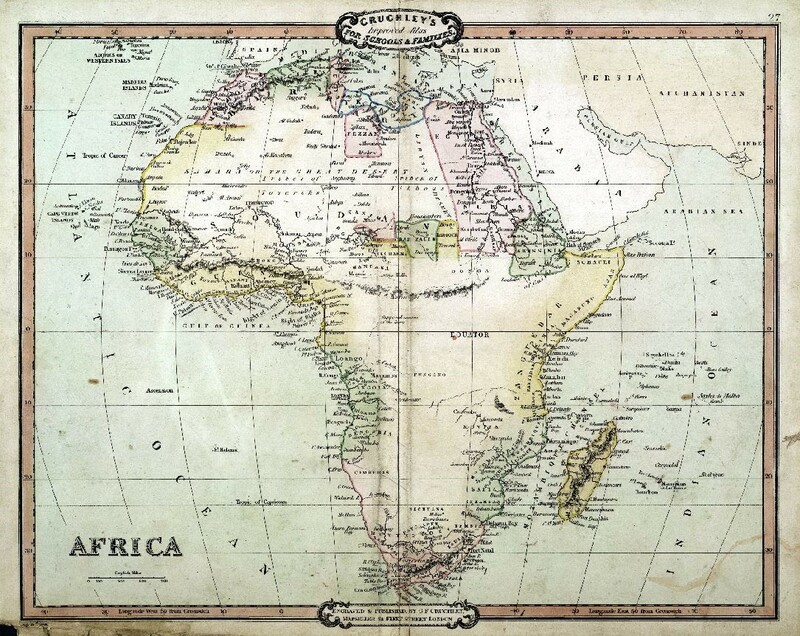 This map is part of a selection of digitally scanned and georeferenced historic maps of Africa from the Oscar I. Norwich Collection at Stanford University. The horizontal positional accuracy of a raster image is approximately the same as the accuracy of the published source map. The lack of a greater accuracy is largely the result of the inaccuracies with the original measurements and possible distortions in the original paper map document. There may also be errors introduced during the digitizing and georeferencing process. In most cases, however, errors in the raster image are small compared with sources of error in the original map graphic. The RMS error for this map is 3067.37 meters. This value describes how consistent the transformation is between the different control points (links). The RMS error is only an assessment of the accuracy of the transformation. Gräf, A. and Stanford Geospatial Center. (2013). 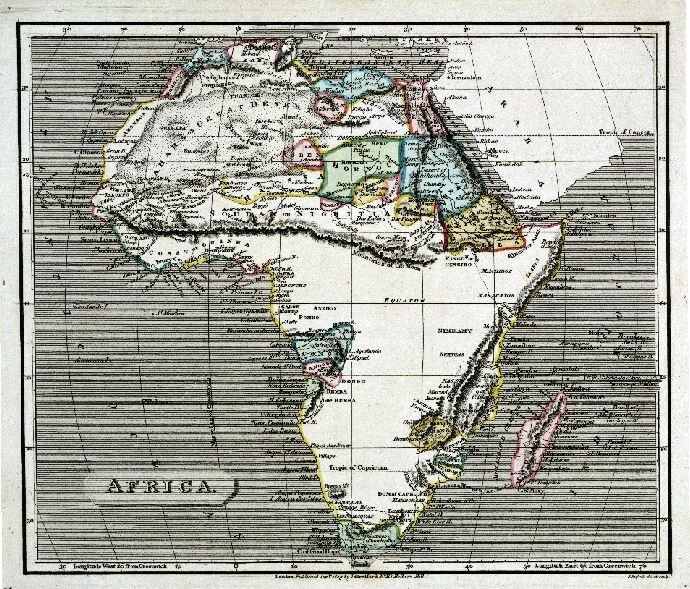 Africa 19th Century (Raster Image). Stanford Digital Repository. Available at: http://purl.stanford.edu/cj719gj6639. 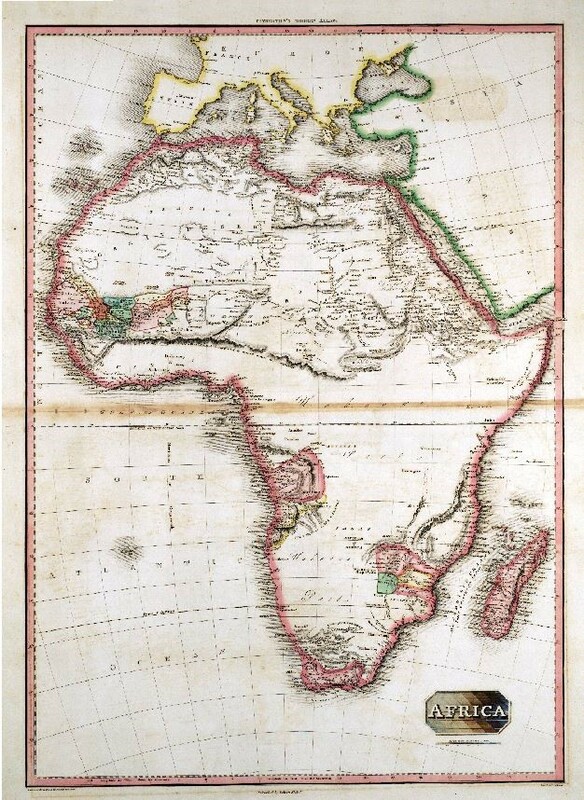 This layer is a georeferenced raster image of an historic continental map of Africa from 1806 titled "Africa form the latest authorities." 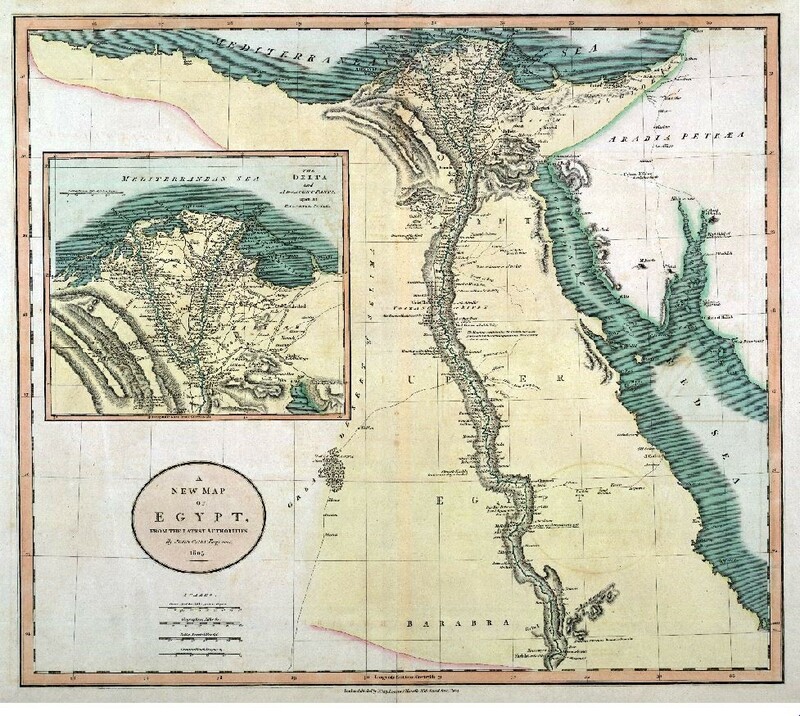 This map was published by Brightly & Kimersly and engraved by Barlow. All map collar and inset information is also available as part of the raster image, including any inset maps, profiles, statistical tables, directories, text, illustrations, or other information associated with the principal map. This map was georeferenced by the Stanford University Geospatial Center using a Sinusoidal projection. 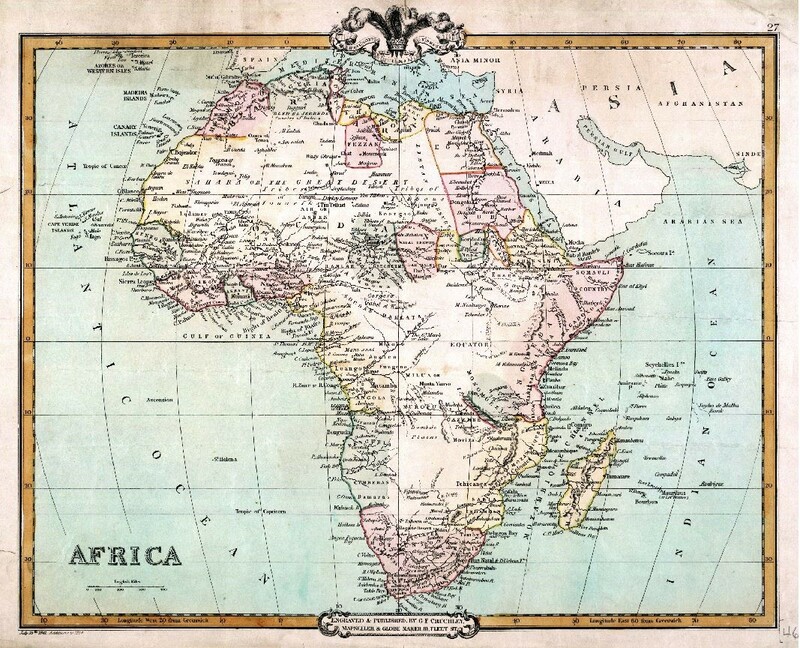 This map is part of a selection of digitally scanned and georeferenced historic maps of Africa from the Oscar I. Norwich Collection at Stanford University. The horizontal positional accuracy of a raster image is approximately the same as the accuracy of the published source map. The lack of a greater accuracy is largely the result of the inaccuracies with the original measurements and possible distortions in the original paper map document. There may also be errors introduced during the digitizing and georeferencing process. In most cases, however, errors in the raster image are small compared with sources of error in the original map graphic. The RMS error for this map is 1200.22 meters. This value describes how consistent the transformation is between the different control points (links). The RMS error is only an assessment of the accuracy of the transformation. Barlow and Stanford Geospatial Center. (2013). Africa from the latest Authorities (Raster Image). Stanford Digital Repository. Available at: http://purl.stanford.edu/vz360ty9195.